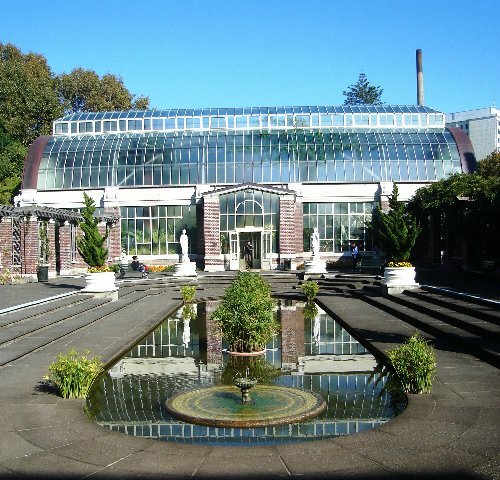 The Auckland Domain fills those functions which in Christchurch are met by the Botanic Gardens, Hagley Park, and the river. I’ve always liked the statuary. 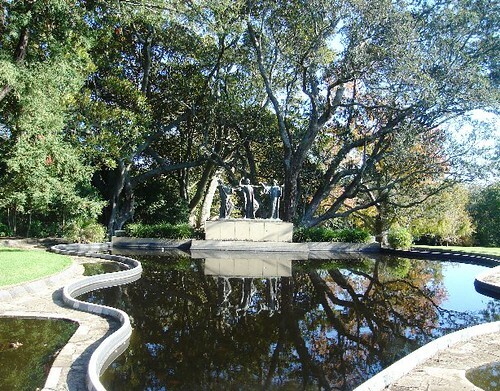 This group commemorates the first hundred years of the city of Auckland. The figure in the centre symbolises Auckland finding its strength, on the right is Wisdom presenting a bay leaf, and on the left Fertility of the soil is offering a cornucopia. I remember Auckland as being a lush green all year round with little difference in the seasons, yet on this trip I’ve seen lots of gold and red and I’ve enjoyed crunching the fallen autumn leaves. 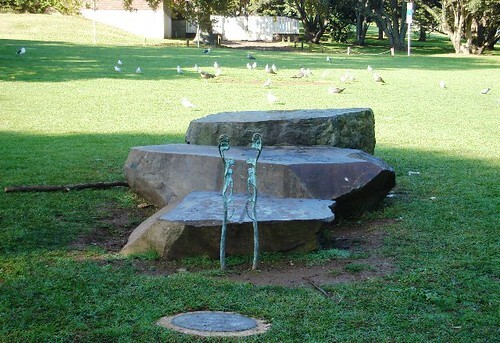 “Spring” by Christine Hellyer (2004) marks the site of Auckland’s first public water supply. 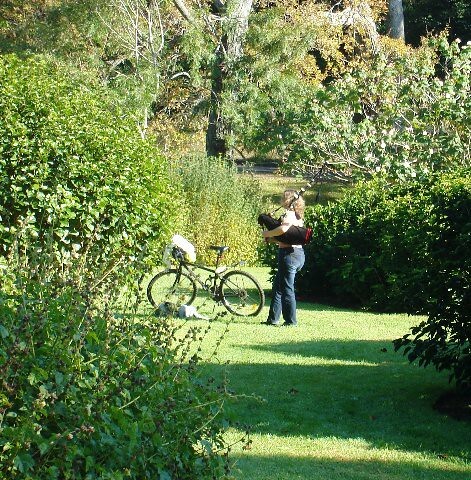 I was surprised to hear the sound of bagpipes, playing more sprightly tunes than usual, and found this woman practising amongst some bushes. Perhaps her housemates and/or neighbours complain if she plays them at home. The Wintergarden’s another favourite place. The classical statues at the end are Summer and Spring. 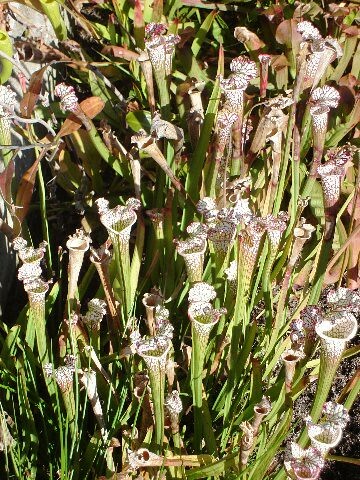 These hooded trumpets are Sarracenia leucophylla, or White pitcher plant, a carnivorous plant native to the American Deep South.